Wealth Mode Financial Planning, LLC ("Wealth Mode") is a registered investment adviser offering advisory services in the State of Utah and in other jurisdictions where exempted. The Association for Financial Counseling and Planning Education® (AFCPE®) owns the certification marks AFC® (Accredited Financial Counselor), which it awards to individuals who successfully complete AFCPE's initial and ongoing certification requirements. Justin Chidester is AFC® certified. All written content on this site is provided "AS IS" and is for information purposes only, without warranties of any kind either express or implied. To the fullest extent permissible pursuant to applicable laws, Wealth Mode Financial Planning, LLC ( "Wealth Mode") disclaims all warranties, express or implied, including, but not limited to, implied warranties of merchantability, non-infringement and suitability for a particular purpose. Wealth Mode does not warrant that the information will be free from error. Opinions expressed herein are solely those of Wealth Mode, unless otherwise specifically cited. Material presented is believed to be from reliable sources and no representations are made by our firm as to another parties’ informational accuracy or completeness. None of the information provided on this website is intended as investment, tax, accounting or legal advice, as an offer or solicitation of an offer to buy or sell, or as an endorsement of any company, security, fund, or other securities or non-securities offering. The information should not be relied upon for purposes of transacting securities or other investments. Your use of the information is at your sole risk. All information or ideas provided should be discussed in detail with an advisor, accountant or legal counsel prior to implementation. Under no circumstances shall Wealth Mode be liable for any direct, indirect, special or consequential damages that result from the use of, or the inability to use, the materials in this site, even if Wealth Mode or a Wealth Mode authorized representative has been advised of the possibility of such damages. In no event shall Wealth Mode Financial Planning, LLC have any liability to you for damages, losses and causes of action for accessing this site. Wealth Mode Financial Planning, LLC (“Wealth Mode”) is a registered investment adviser offering advisory services in the State of Utah and in other jurisdictions where exempted. Registration does not imply a certain level of skill or training. The presence of this website on the Internet shall not be directly or indirectly interpreted as a solicitation of investment advisory services to persons of another jurisdiction unless otherwise permitted by statute. Follow-up or individualized responses to consumers in a particular state by Wealth Mode in the rendering of personalized investment advice for compensation shall not be made without our first complying with jurisdiction requirements or pursuant an applicable state exemption. 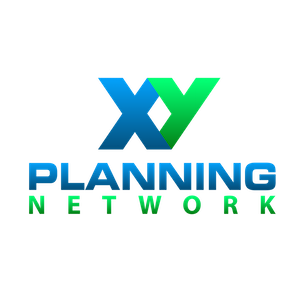 XY Investment Solutions is exclusively designed to serve the members of XY Planning Network (“XYPN”) and is focused on delivering investment solutions for the modern advisor and client. They believe in the tenants of asset allocation and diversification, low cost, tax efficiency and discipline. They take a global view and believe in covering both the size and style spectrum with emphasis on value. XYIS is a subsidiary of XYPN and custodies all assets at TD Ameritrade Institutional, an independent and unaffiliated custodial broker-dealer and member FINRA/SIPC. The Investment Committee boasts over 50 years of combined experience and includes industry luminary and XYPN Co-Founder Michael Kitces, XYPN Co-Founder Alan Moore, XYIS Director Brandon Moss and Mario Nardone, CFA who leads the Investment Committee. *Please note Mario Nardone is not an employee or Investment Adviser Representative of either XYIS or Wealth Mode Financial Planning, and provides his services on an independent basis through his own registered investment adviser, East Bay Financial Services. XYIS is an independent registered investment adviser, and is unaffiliated with Wealth Mode Financial Planning. The name “XY Investment Solutions”, its logo, and all related names, logos, product and service names, designs and slogans are trademarks of XYIS or its affiliates or licensors. Nothing presented on or through this website regarding XYIS, its Investment Committee, or any of its investment solutions (“XYIS Content”) is intended to be personalized investment, tax, legal, accounting, or any other professional advice. To the extent this website includes XYIS Content related to investment, tax, legal, or accounting matters, such content is expressly for general information purposes and should not be relied upon for any decision-making. Investment, tax, legal, accounting and other professional advice is specific to each individual and entity, and you should consult with a professional advisor to receive personalized advice. Such XYIS Content is made available solely for general information purposes, and XYIS does not warrant the accuracy, completeness or usefulness of this content. Nothing contained on this website regarding XYIS Content should be construed as an offer to sell, a solicitation of an offer to buy, or a recommendation of any security or other financial product or investment strategy. To the extent any security or other financial product or investment strategy is referenced or discussed on this website in conjunction with XYIS, you should understand that past performance is no guarantee of future returns and that investing in any security or other financial product or investment strategy can result in the partial or complete loss of principal. Investing involves risk that you as an investor should be prepared to bear. or their licensors, employees, agents, officers or directors be liable for damages of any kind, under any legal theory, arising out of or in connection with any XYIS Content, including any direct, indirect, special, incidental, consequential or punitive damages.